Category 5 cable (or cat5 cable) is Ethernet cable consisting of 4 twisted pairs of copper wire with conductors usually measuring 24 AWG to 26 AWG. Category 5 cable has a maximum run length of 100 m and provides up to 100 Mbps in performance. Cat5 cable can be terminated using punch down blocks for fixed wiring installations. Alternatively this Ethernet cable can be made into patch cables terminated at each end with registered jacks (RJ45 connectors) for shorter movable cabling applications. 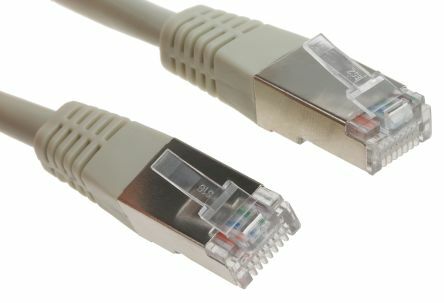 Cat5 cable is used to transfer data and signals in structured cabling systems for computers connected to LAN (Local Area Network). The cable standards defined for ANSI/TIA/EIA-568-A provide a bandwidth supporting frequencies up to 100 MHz and speeds up to 1000 Mbps. 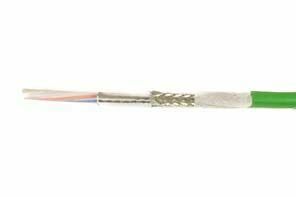 Category 5 cable is suitable for applications utilising 10-Base –T 100 Base – T and 1000Base-T.
Cat5 cable can be used in a wide variety of applications. It is traditionally used for LAN (Local Area Network) applications. Connecting computers, hubs, switches and routers to the network in schools, colleges, offices, hospitals and the home. Other applications include CCTV, video and telephone systems. 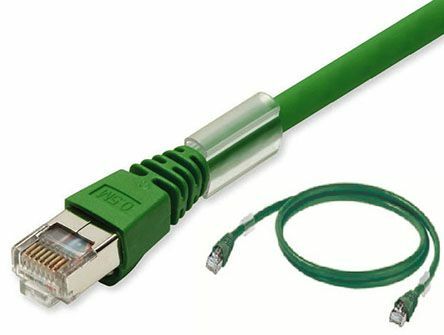 UTP and FTP Cat5 RJ45 patch cables are RJ45 100 ohm twisted pair patch cables, they can be used for IT connections and category 5 networks. 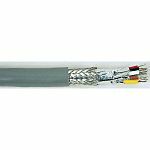 These moulded cables provide greater reliability than standard non-moulded cables. RJ12 / RJ45 cables for connecting telephones to the Numéris network.Available in black or ivory, they comprise a flat cable, an RJ12 connector and an RJ45 moulded connector.